JOSEPH “TRICKY SAM” NANTON, 1904-46, thanks to Tohru Seya. One of the great pleasures of having a blog Few jazz listeners would recognize is the ability to share music — often, new performances just created. But I go back to the days of my adolescence where I had a small circle of like-minded friends who loved the music, and one of us could say, “Have you heard Ben Webster leaping in on Willie Bryant’s RIGMAROLE?” “Hackett plays a wonderful solo on IT LOOKS LIKE RAIN (IN CHERRY BLOSSOM LANE).” Allow me to share some joy with you, even if we are far away from each other. Some of the great pleasures of my life have been those players with sharply individualistic sounds. Think of trombonists: Vic Dickenson, Dicky Wells, Bennie Morton, Jack Teagarden, Jimmy Harrison, Bill Harris, Trummy Young, J.C. Higginbotham, Miff Mole, Sandy Williams, and more. And the much-missed fellow in the photograph above. This high priest of sounds is a hero of mine. He left us too young and he loyally refused to record with anyone except Ellington. I don’t ordinarily celebrate the birthdays of musicians, here or in other neighborhoods, but February 1 was Mister Nanton’s 115th, and he deserves more attention than he gets. He was influenced by the plunger work of Johnny Dunn, a trumpeter who is far more obscure because he chose a route that wasn’t Louis’, but Tricky Sam was obviously his own man, joyous, sly, and memorable. It says a good deal that Duke saved Tricky Sam for the last solo, the most dramatic. Who, even Ben, could follow him? You will notice — and it made me laugh aloud when I first heard it, perhaps fifty years ago, and it still does — that Tricky Sam leaps into his solo by playing the opening phrase of the 1937 WHISTLE WHILE YOU WORK (Larry Morey and Frank Churchill) from the Disney SNOW WHITE AND THE SEVEN DWARFS. How it pleases me to imagine Ellington’s men taking in an afternoon showing of that Disney classic! You might know the inspiring exhortation, “Be the change you want to see in the world.” The quite remarkable Colin Hancock has put his own inventive spin on that, and I imagine “Be the music you want to hear!” is his motto. I’ve written about Colin and his Original Cornell Syncopators as they appeared at the San Diego Jazz Fest last year (dig in here) and they will be appearing in San Diego again this November: make plans here! And I had the pleasure of seeing the larger unit in New York very recently: hot evidence here. But this post is not about the wonderful young people who make up Colin’s bands. All respect to them, no. This post is about Colin, the one, the only. The dazzling multi-instrumentalist and recording engineer and Imaginer, the young man who gets inside the music rather than copying its most obvious features. Over the summer, Colin made some records. That might not raise an intrigued eyebrow until you learn that he plays all the instruments on these records (and sings on one), that they are brilliantly loving evocations of time, place, and style, with no artificial ingredients. They aren’t tricks or stunts: they are MUSIC. There is, of course, a tradition of one-man-band records: Sidney Bechet for Victor, Humphrey Lyttelton’s ONE MAN WENT TO BLOW, and more — but Colin’s are deeper and more thoughtfully lovely than simply ways to show off multiple expertises. What he’s done is make beautiful little alternative universes: imagine if __________ band had played ___________: what would it sound like? Some bands have no single historical antecedents: they exist only in his wide imagination. And the results are amazing on their own terms: play one, without identifying it, for a hot jazz fan, and see what she says; play one for a deeply scholarly hot jazz fan and hear the encomia, because the music is just right, imaginative as well as idiomatically wise. You can hear more of Colin’s startling magic on his YouTube channel here. And there’s a brand-new interview of this wondrous trickster here. Fats Waller would have called Colin “a solid sender” or perhaps “a killer-diller from Manila!” but I think, perhaps more sedately, of Colin as someone who likes to imagine aural parties and then generously invites all to join him. What gifts! Posted in "Thanks A Million", Bliss!, Generosities, Hotter Than That, Irreplaceable, It's All True, Jazz Titans, Jazz Worth Reading, Mmmmmmmmmmmmm!, Pay Attention!, Swing You Cats!, That Was Fun!, The Heroes Among Us, The Real Thing, The Things We Love, Wow! I urge anyone who loves the music to experience it live. For some, that isn’t possible because of cost or one’s health. But even though I am proud of my video recordings, they are not the same thing as being on the spot while beauty is created. And jazz festivals, parties, clubs, concerts can only go on if there are people in attendance. I cannot attend this year’s Steamboat Stomp in New Orleans, but my absence means there’s another seat for you. It begins Friday evening, November 14, and ends Sunday afternoon, the 16th. In between I count nineteen one-hour sets of music, in addition to a presentation about the Historic New Orleans Collection, four steam calliope concerts by Debbie Fagnano. Much of the music will be performed on the two decks of the steamboat Natchez, gliding up and down the Mississippi River. The artists include Duke Heitger, Don Vappie, Evan Christopher, the Yerba Buena Stompers, Dukes of Dixieland, Tim Laughlin, David Boeddinghaus, Hal Smith, Banu Gibson, Solid Harmony, Jon-Erik Kellso, John Gill, Kevin Dorn, Clint Baker, Tom Bartlett, Conal Fowkes, Orange Kellin, Leon Oakley, Steve Pistorius, and another dozen. I was able to attend in 2013, and had a wonderful time. Some evidence! I returned last night from the 2014 Whitley Bay Classic Jazz Party, exhausted and uplifted. The exhaustion will wear off (it always does) after a day or two of treating myself like an invalid, nut the joy is permanent. It comes from seeing people make friends through music. The music began with rehearsals at 9 AM on Thursday and ended sometime late Monday morning (I heard the jam session at the pub as I was going up the stairs around 1 AM). The texts for those mellow sermons were based on the teachings of Johnny Dodds, Count Basie, Louis Armstrong, Duke Ellington, Charlie Johnson’s Paradise Orchestra, Jabbo Smith, Jean Goldkette, Bix Beiderbecke, Red Nichols, Chu Berry, Paul Whiteman, Cootie Williams, Adrian Rollini, Jimmy Dorsey, Joe Venuti, Eddie Lang, Johnny Dunn, Luis Russell, Bing Crosby, Helen Morgan, Jimmie Lunceford, Benny Carter, Don Byas, Willie Lewis, Sidney Bechet, Al Bowlly, Cliff Edwards, Eubie Blake, James P. Johnson, Chick Webb, Jelly Roll Morton . . . you get the idea. And the friends! Everyone who was there will have a mental list, but I think we all start with Patti Durham — then I think of Bob Cox, Bobbi Cox, Derek Coller, Veronica Perrin, Chris Perrin, the young woman clarinetist, so intent, Jonathan David Holmes, Julio Schwarz Andrade, Andrew Wittenborn — and many more. If you are wondering, the answer is Yes, I did bring my video cameras. Plural. Safety first. And I shot video of all the sets, one jam session / concert in the Victory Pub, and many of the rehearsals — several hundred performances. It takes some time to upload and download, so I have nothing from this last weekend to share with you at the moment. But I will. Considering the context — James P. Johnson, solo piano, playing his own HARLEM STRUT — the advertising exhortations seem reasonable. 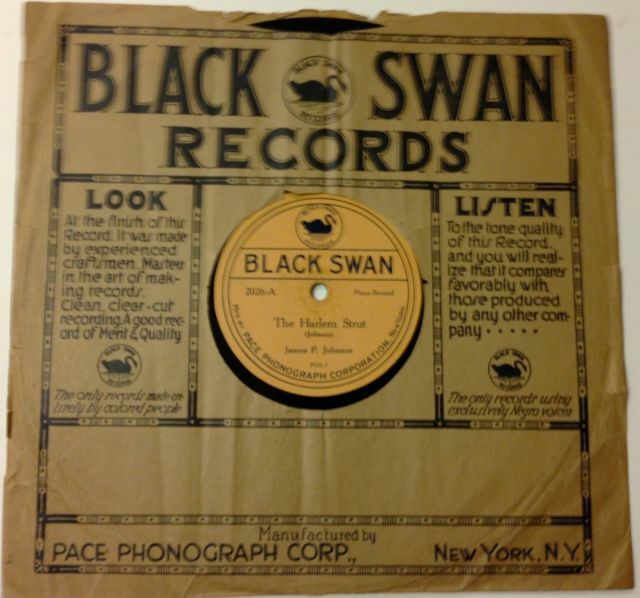 Over a twenty-five year period, James P. was recorded — in the studio, on radio, and in concert — alongside Bessie Smith, Clarence Williams, the Blue Note Jazzmen, Henry “Red” Allen, Sidney Catlett, Pee Wee Russell, Freddie Green, Dicky Wells, Max Kaminsky, Zutty Singleton, Perry Bradford’s Jazz Phools (with Louis, Buster Bailey, Kaiser Marshall), Lavinia Turner, Trixie Smith, Fats Waller, Sadie Jackson, Louis Metcalf, Cootie Williams, Garvin Bushell, Jabbo Smith, Gene Sedric, Johnny Dunn, Ethel Waters, King Oliver, Teddy Bunn, Spencer Williams, Cecil Scott, Roy Smeck, Mezz Mezzrow, Tommy Ladnier, Eddie Dougherty, Rod Cless, Sterling Bose, Pops Foster, Omer Simeon, Ida Cox, Pete Brown, Frank Newton, Walter Page, Jo Jones, Hot Lips Page, J.C. Higginbotham, Lionel Hampton, Charlie Christian, Al Casey, Yank Lawson, Pee Wee Russell, Brad Gowans, Eddie Condon, Wild Bill Davison, Jimmy Rushing, Vic Dickenson, Vernon Brown, Sidney Bachet, Tommy Dorsey, Baby Dodds, Dave Tough, Johnny Windhurst, George Brunis, Albert Nicholas, Bunk Johnson, George Wettling . . . which sounds as if he recorded with everyone in creation. From the middle of the Twenties, James P. (1894-1955) was comfortably earning money because of royalties on his most famous compositions (consider CHARLESTON, ONE HOUR) but he wasn’t satisfied to be a composer of hit songs. He wanted to be known and respected as a serious composer of extended works, perhaps the race’s answer to George Gershwin. He didn’t gain the respect and attention he desired, which hurt him. Both his discography and biography suggest that he was not always in good health — another good reason for our not having even more recorded evidence. I wonder if James P. was more than the cliche of the popular entertainer yearning for serious acceptance, but a man who knew that he had more to offer than writing thirty-two bar songs and playing piano, solo or in bands. Did he distance himself from “the music business” or did it ignore him because he would not fit in to one of its tidy categories? James P.’s pupil Fats Waller died younger, but received more attention because of his ebullient personality: hundreds of recordings, radio broadcasts, film appearances. Willie “the Lion” Smith outlived them both and was always ready to play, sing, and talk. I wish James P. had recorded more, had received more attention of the kind his talents deserved. If someone uncovers a James P. trove, I’d like to know about it. I’ve just learned that Ed Beach is dead. He was 86 and had lived in Oregon (his home state) for a long time. No service is planned, so people who recall him, love him, and love what he did will have to perform their own affectionate memorials in their heads. Fittingly, for a man who spent his life as a voice coming through the speaker, there is no picture of Beach on Google Images. But that voice — cavernous, drawling, amused, dragging out certain syllables — is here in my memory, and when people like myself who grew up listening to Beach speak of him, one of them will bring forth his cherished phrases and start laughing. What I know of his biography is limited. Oregon-born, he was a capable West Coast jazz pianist who admired Tatum and the early bop players. How he got into radio I don’t know, but my first awareness of him began in 1969, when I saw in the New York Times that there was a two-hour program called (rather flatly) JUST JAZZ on the then reigning non-commercial New York jazz station, WRVR-FM, 106.7, broadcasting from the Riverside Church. That in itself was interesting: it was on two hours every weekday and for four hours on Saturday night. In this age of digitized music and internet streaming, those hours may not seem like a great deal, but it was a boon even then. And what caught my attention was the listing of a two-hour show on Lee Wiley, someone I’d read about but hadn’t heard. (I’d read George Frazier’s love-besotted liner note reprinted in EDDIE CONDON’S TREASURY OF JAZZ. More about that book and that piece sometime.) So I found a new box of reel-to-reel tape and sat in front of the speaker while Ed Beach played Lee Wiley’s recordings and spoke in between them. I didn’t know at the time that I had uniwttingly encountered one of the great spiritual masters, someone who (along with the musicians themselves and Whitney Balliett) would teach me all that I needed to know about jazz. Beach wasn’t terribly interested in full personnels, in the best sound quality, in the original label of issue, presenting alternate takes in sequence, arranging an artist’s career chronologically. Rather, his was an eclectic, human approach — as if you had been invited to a listening session with someone who had a large collection, was eager to share his beloved treasures, moving from track to track as delight and whim took him. So his approach was personal, apparently casual — as one selection reminded him of another, not just for their apparent similarity, but for the juxtapositions and the range of an artist’s work he could show in two hours. Someone like Lee, whose recorded career was compact (this was in 1969, before all those versions of LET’S CALL IT A DAY surfaced) could be covered well in two hours. Other artists, with longer careers, got multi-part shows: four hours on Louis in the Thirties. Beach’s range was wide: I remember shows on Rollins and on Johnny Dunn. And — given his format — he didn’t replay his favorite recordings. Ed Hall today, Hank Mobley tomorrow, and so on. In hearing and recording and rehearing those shows I was not only learning about performances and performers I hadn’t heard of (because much classic jazz was out of print and my budget was limited) but about a loving reverence for the music, a point of view that could shine the light on the ODJB and on Clifford Brown, without condescending to either. He mixed reverence for the music and irreverence for things outside it (he was powerfully funny in an understated way). He tried to teach us all what to listen to and how to listen to it. Now, when we can buy the complete recordings of X — going for hours, with unissued material, arranged in sequence — a Beach show might seem a fragmentary overview. And I remember the mixed feelings I had, perhaps thirty-five years ago, when my collection (in its narrow intense way) began to expand past what he had played — or, even given new discoveries — what he had known. I had that odd sense of a student discovering something that his much-admired professor hadn’t had access to . . . mingled emotions for sure. All things, even Golden Eras that no one recognizes at the time, come to an end. JUST JAZZ started to be aired at odd hours. I set my alarm clock to get up at 7 AM on a Saturday morning to tape a two-hour Sidney Catlett show. Pure jazz, without commercials, was not a paying proposition. WRVR changed its programming schedule, putting Ed “in drive time,” airing brief jazz-related commercials (one of them was for the Master Jazz Recordings label — MJR of sainted memory) and then the station was sold. I heard him again only on my deteriorating tapes and then only in my imagination. I hope that others who had the precious experience will share their memories of Ed — and perhaps this post will make its way to his family, so that they will know even more of how “Uncle Gabchin” or “Sam Seashore,” of the firm of “Wonder, Blunder, and Thunder,” some favorite self-mocking personae — how much Ed Beach was loved. And remains so. Few people gave us so much, with so little fanfare, so generously.